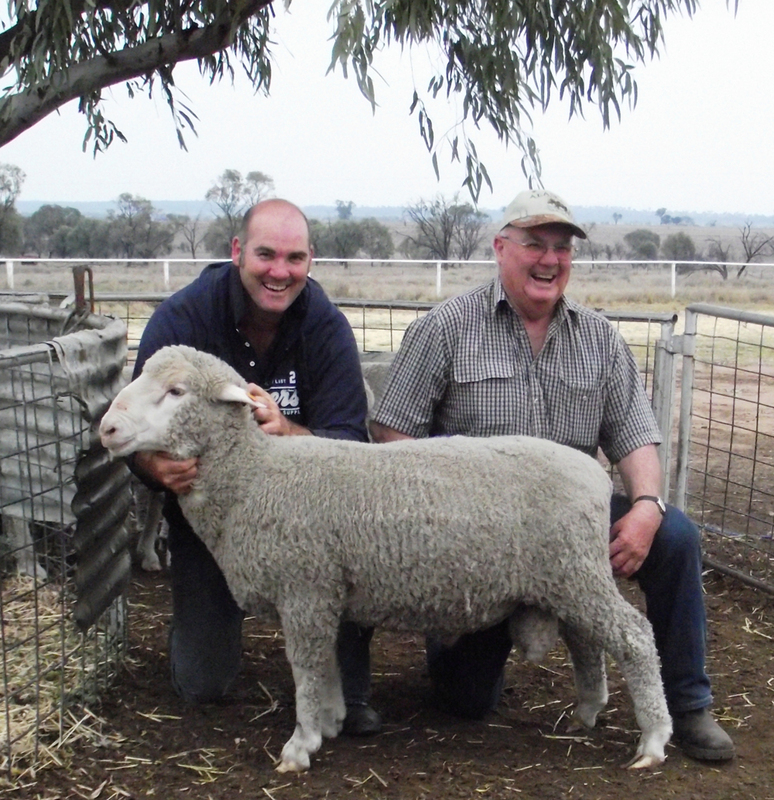 This photo is of Errol Brumpton – Well Gully Stud Mitchell Qld 4465 photographed with Neil Williams ‘Boyd’ Forbes NSW 2871 who purchased this ram for $10,000. 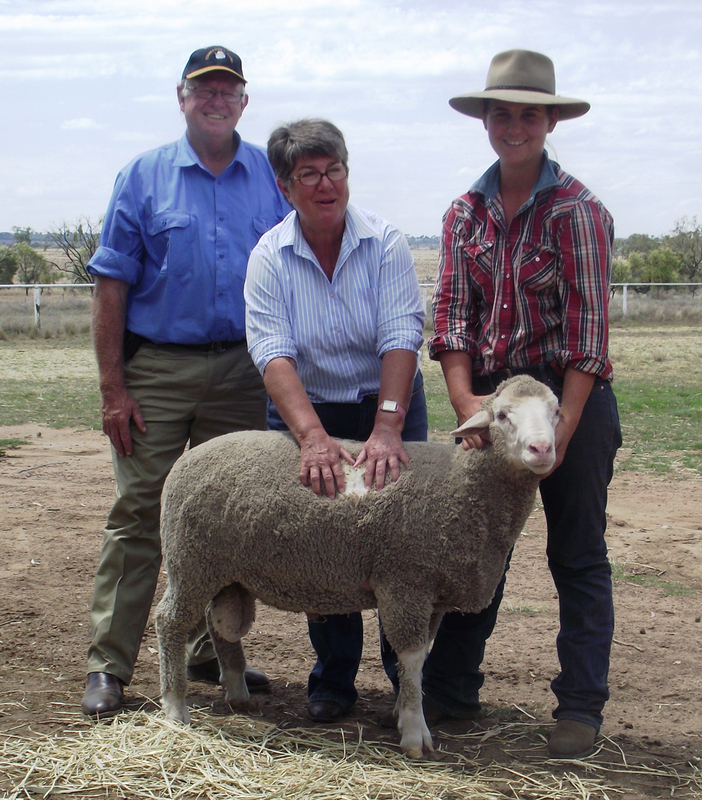 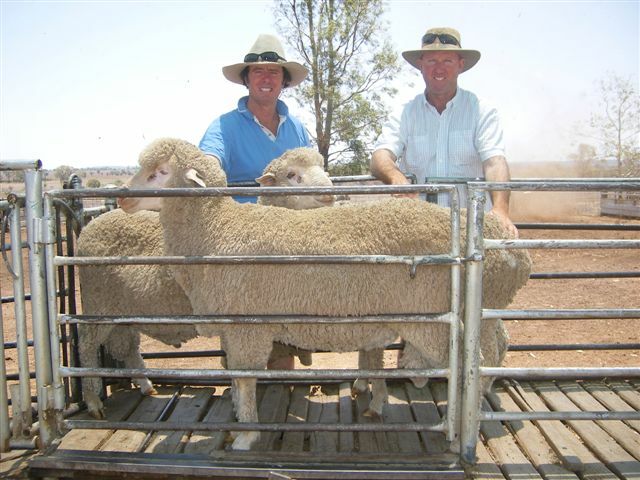 Adrian and Rosemary Newton Combadery WALGETT NSW 2832 purchased ram $10,000 photographed with ‘Well Gully’ Stud Overseer Anel Botha. 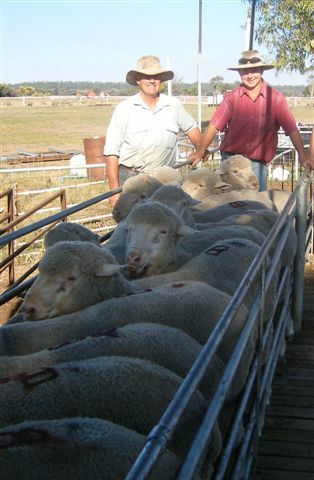 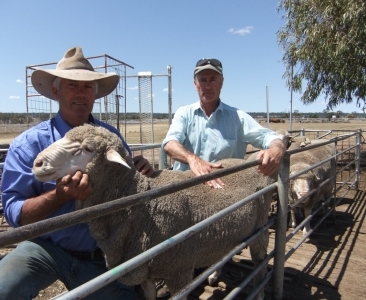 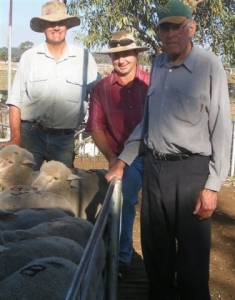 Phil Sevil from “Bunna Downs” Burren Junction NSW, who purchased 20 rams @ $2000 each, selecting rams with Mr Ivan Letchford, QUALSHEAR Pty Ltd, industry stalwart and sheep and wool consultant from Sydney. 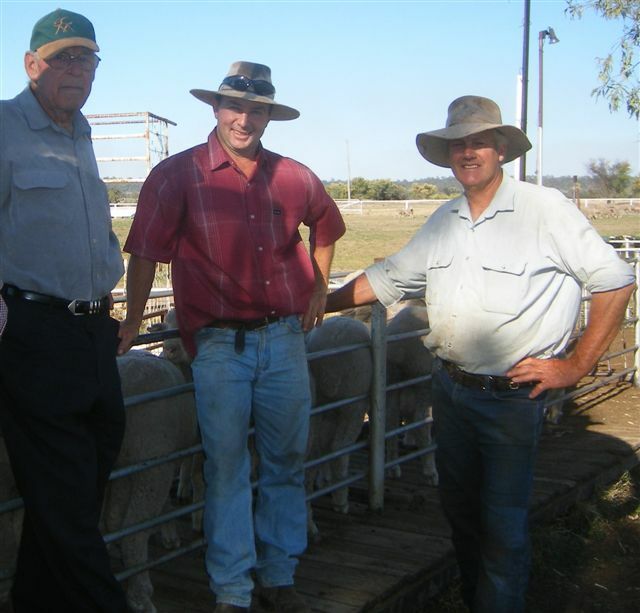 Mr Norm Smith, “Glenwood” Wellington, NSW and Mr Scott Brien “Birrell Vale” Dripstone, NSW with their purchases of 2 rams @ $5000 each.